Saturdays at 11am: Free conversation lessons. 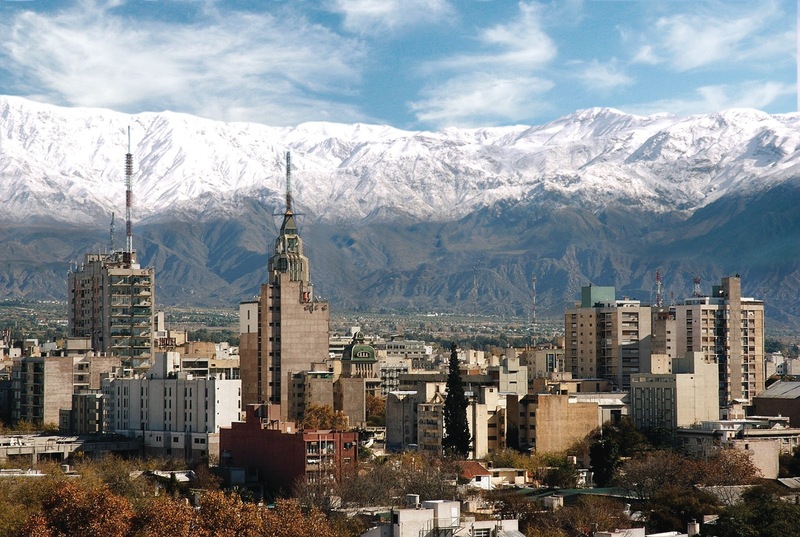 Mendoza is easy to reach from Santiago de Chile with a bus trip or airplane. You will have a glance to the mountains Los Andes with its peaks like the great Aconcagua (6.962 m – 22.840 ft), Tupungato and El Plata. Are you Chacras or Luján and want to learn spanish? Click here! Please let us know what gives you the desire to learn Spanish so we will be able to adapt the contents of your lessons or your program to your needs and expectations. Did you have formal instruction in Spanish before? If so, when? For how long? How long are you intending to learn Spanish this time? What will be the use of the Spanish after this course? What is your priority in these lessons: written-grammar or oral-communication oriented? Or both? What modality of learning suites best your needs? The teacher adapts to your pace and learning rhythm in a dynamic interactive one-on-one environment. You may choose the timeline and place to best achieve your expectations. Small groups have advantages: You share experiences and form lasting relationships through interaction. There is a goal for each week to achieve in class. Groups have max. 8 students. We don’t mix levels of Spanish. If you were placed in a certain level of Spanish competence, even if you are alone, you will have lessons with the group price. Please note that in this situation it will be possible to have others join later in the class at later dates. You choose your timetable and your location may be any place in the world. We decide together on the objectives of the course, we plan the course with you and begin working orally for at least one hour per week. If you want, we can give additional materials and your expected “one hour on skype” results can be doubled! You may ask for additional material on line for self study during or after your program or the course. Understanding and using numbers: age, birthday, time, dates, etc. You only have a few hours or days? Perhaps only a Saturday? Just tell us what is your goal and we work on it with you during the time you have; you will be prepared for what you need in the short period of time you have decided to devote to learning Spanish. Please challenge us! We can help you with preparation of examinations in Spanish (e.g. DELE, CELU, CEPE) , for school or at the university. We have prepared trips to Spanish speaking Africa and kids to assist in schools in Argentina. Just challenge us! If you have already a basic Spanish and you want to apply your Spanish to an occupational or a special studies area, you can ask us for a Spanish course for a special purpose. We adapt ourselves and study hard and look for the right teacher to satisfy your needs! Different teachers depending on the subject you need are open to go deeper with you in any topic. We offer the following four programs, if you want something different, please contact us. The region is all year round an attraction for national and international tourism: the proximity to Santiago de Chile, the huge number of wineries, the Andes with its high mountains, a culturally interesting city, the desert and artificial irrigation systems attract many tourists to Mendoza. If you work in a tourism agency, if you need to know the region from the point of view of a seller or a colleague in the Tourism Industry, we want you to learn special vocabulary on wine and olive culture, nature and sports in the mountains, types of accommodation in hotels and hostels, types of tourism and possibilities in the region. The Spanish Course includes interviews with persons of the tourism sector. Mendoza is one of the most well-known wine regions in the world. Combine your Spanish Course with special lessons on winemaking and the wine industry. With a Spanish teacher you will visit the wine-museum and a winery per day. Do you have a special interest in one particular winery or contact with a particular winemaker? Are you interested in wine importation in your country? Let us know your special purposes in advance so we can make the arrangements to meet the persons you want to contact. The quotation for the whole program will depend on transportations and arrangements to visit wineries. The expanding Argentine wine market makes this special program a good service for agricultural or commercially interested people. Anyway, if you enjoy drinking good wine, the visits and tasting sessions makes it a special service for you. This course combines intensive Spanish for Sports in the classroom in the city of Mendoza: 20 learning hours in 3 days. And 4 days are devoted to tourism activities in Los Andes. Rafting, horseback riding, climbing and a full day tour to the foot of Aconcagua. This combination makes it a perfect program for tourists who want to learn Spanish and enjoy the region. For this course you need a higher intermediate level of Spanish. You will meet a writer and a journalist of Mendoza: Mercedes Fernández She lived in Canada for many years and is an exquisite interlocutor . You will receive an overview of South American literature and read selected masterpieces. If you live in Mendoza or surroundings, you may assist in the centre or in our rooms in Luján de Cuyo to a regular course during a long period of time. The rhythm of regular courses twice a week makes the lessons useful for ex-pats, volunteers, during an internship or for students who live in the region for a semester or two. Mendoza is a culturally rich and always interesting capital in West Argentina. If you want to know the surroundings of the city we can give the basic information and advice you need, either for tours, for car rental or for public transportation. Cacheuta: 45 minutes from Mendoza city you can visit Cacheuta with Thermal Watercentre. It is worth to take the time to visit these places. Don’t miss a trip to admire the Aconcagua (6.962 m – 22.840 ft), or in Summer to visit Volcán Maipo, a great adventure to see the local fauna (guanacos, choiques, zorros) and flora. As tourists or professionals abroad sometimes we become strangers to ourselves and don’t adapt easily when there are misunderstandings in the language, in the new environment or cultural differences of the workplace. Cristina Isenrath offers her experience and intercultural knowledge to chat with a cup of coffee or a glass of wine with you. The goal of these conversations is to become aware of the situations that may cause awkwardness or the feeling of being out of place. Opening our minds on time may prevent a crisis or even an illness. When there is a need of other professionals, the contacts of Cristina in the region may be useful. SP-SpanishCourses offers lessons in companies and private or group lessons in Chacras de Coria and Luján de Cuyo. Tell us where you are and we will go there!